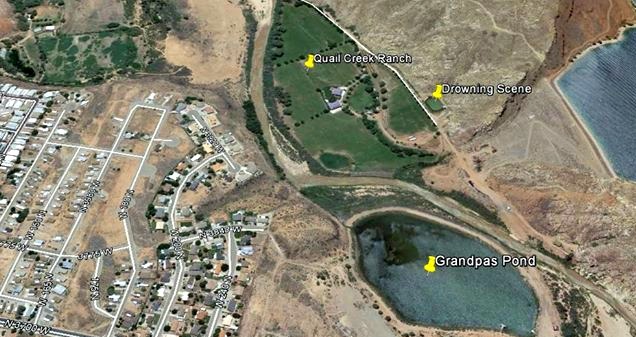 HURRICANE – A Centennial Park man was named by authorities as the person who drowned in a pond near Quail Creek Wednesday. Brigham Zitting, 20, of Centennial Park, Arizona, was identified in a statement issued by the Hurricane City Police Department Thursday. Centennial Park is a community located near Colorado City, Arizona, which is the sister city to Hildale, Utah. Prior to 3 p.m., when emergency responders received a report of the drowning, Zitting had been swimming with a family member in a pond in the area of the Quail Creek Ranch. Zitting was unable to swim the distance of the pond, according to the statement from police. “The family member with the victim attempted to assist the male but was unsuccessful, and called for help,” the statement said. Zitting’s body was located in approximately 9 feet of water and subsequently recovered by resonders. “Our sincerest condolences go out to the family during this difficult time,” the Hurricane City Police said in the statement. Responding agencies included the Hurricane City Police Department, Washington County Search and Rescue, The Utah State Parks, and Hurricane Valley Fire District.